Awhile back I shared how I had fallen in love with gingham. And now this spring, I’m seeing it talked about as a returning trend. And can I say, I could not be happier! It’s so crisp and fresh looking, and it really screams spring to me. What’s fresher than white jeans and a gingham top? Or a sweet little gingham dress? It’s also a classic. It has periods of ebb and flow, but it’s never out of style. If you search for it on Pinterest, it never wanes. Which speaks to it’s longevity. I think I’ll be breaking out those pieces I bought a couple of years ago and bringing them back into rotation! And I’m going to try and find a couple of new pieces to freshen up my wardrobe for spring…. Possibly the cutest blazer ever! Loving this trench coat so much! This off-the-shoulder blouse is so cute for spring/summer. 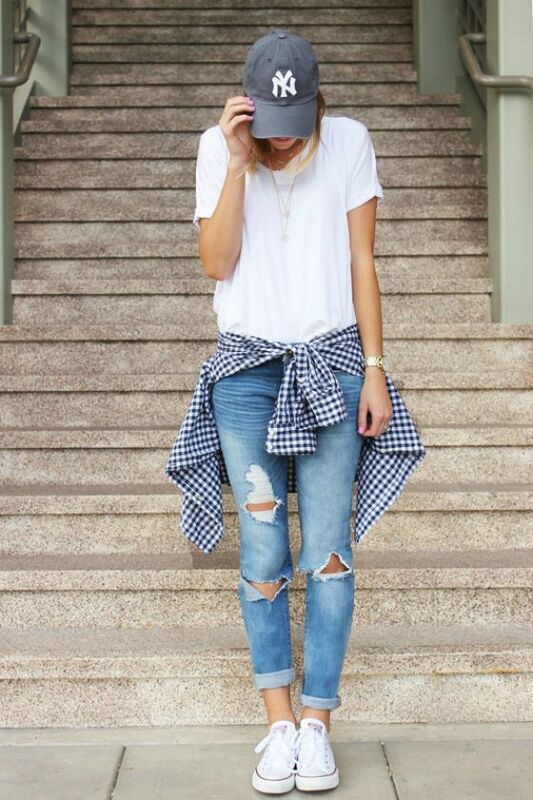 A seriously perfect outfit! I love the mix of the gingham with the leopard shoes. Love this! The leather jacket adds an edginess to the whole outfit, and I adore those large checks. Such a pretty, feminine skirt! I love that the army skinnies take the gingham down a notch. Such a great combo! Love the large pattern gingham on these shorts. One thing about gingham is that it works in every iteration. It’s cute whether you’re wearing it in a shirt, a dress, or a pant. So if you have never worn it before or aren’t sure how to start, you can start small. Just one shirt or top. Or, go even more subtle with a scarf or a shoe. But be warned – it’s addictive! I started with one shirt and I thought that’s all I wanted, and now I can’t get enough! 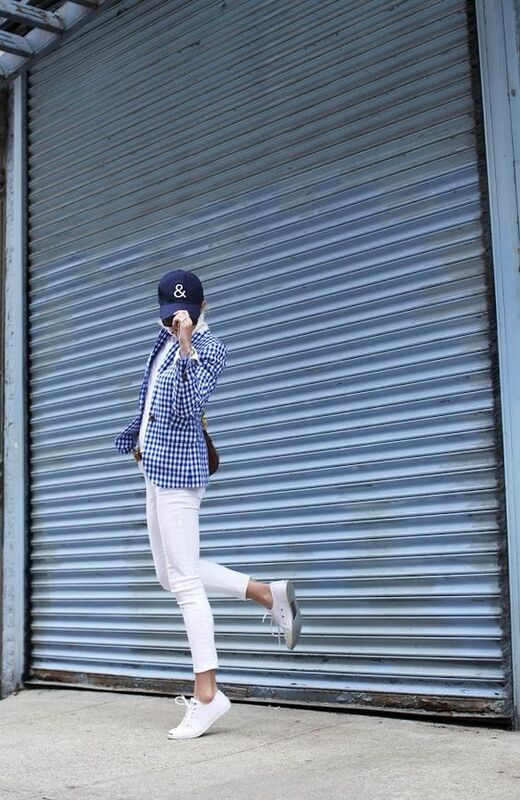 Love the gingham pants – and those shoes! Gingham pants again! I think I have to have some! I’ve been shopping like crazy and I may have put a few items in my own shopping cart;) I found so many cute things in every category, many of them on sale (yay!) So if you’re in the mood for a little spring shopping, check out the items I found below! 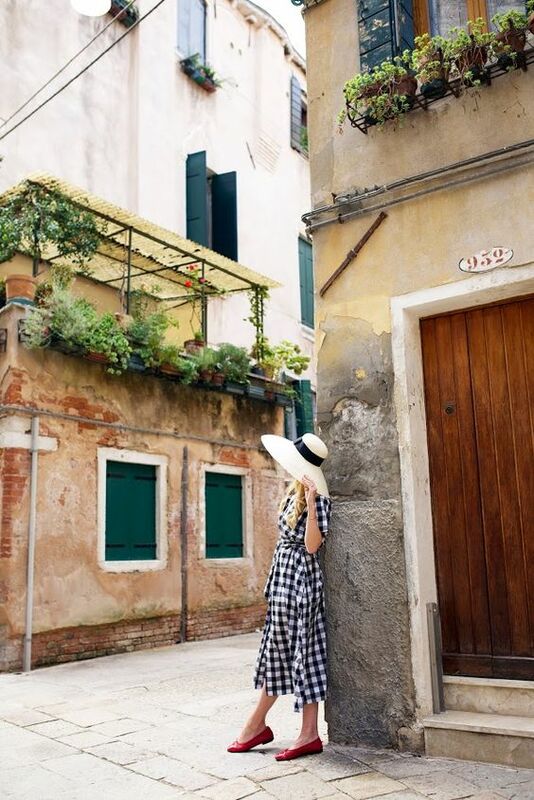 Love love love the black and white gingham. I have a pair of the pants and they are really fun!